Andrew Sato Sensei, and recognized by Aikido World Headquarters in Japan. The AWA is one of six officially recognized Aikido organizations directly affiliated under Hombu dojo Japan here in the United States. They provide its members with, dojo affiliation nationally and internationally, and standardized testing require-ments for black belt ranking that is directly certified through the Aikikai Foundation, World Head-quarters in Tokyo, Japan. Also provided are Aikido seminars, camps and instructor courses to enable students to further improve their Aikido through standardized instruction & intensive training, while providing opportunities for personal exchange and networking. Sato Sensei, Rokudan Aikikai, a full time Aikido instructor, the dojo cho of Kiku Matsu dojo in Chicago and founder of the Aikido World Alliance. 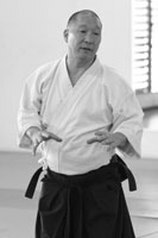 Andrew Sato began his Aikido training in 1977 under Fumio Toyoda Shihan, first as a member of the Ki Aikido Society, then as member of the AAA & AAI. From 2002 until 2004 he was the chief instructor for the AAA & AAI. During this time he taught in both the USA and Europe. 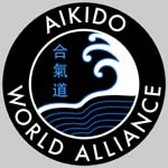 Then in 2005 to further his own understanding of Aikido and to provide support, direction and leadership to interested dojo and students seeking his knowledge, Sato Sensei founded the AWA.